The Flex Academy Studio provides various academic modalities and accommodating schedules for students in need of credit recovery and who desire the choice to determine their own learning style. The Flex Academy Studios are non-traditional 21st century classrooms that provide engaging courses for students who are in need of credit recovery and enjoy learning from their own personalized instructional plan. The blended-learning environment embraces students where they are, encourages a growth mindset, and celebrates the opportunities technology brings to learning. The Flex Academy Studio goal is for each Flex Student to graduate high school on time, with a postsecondary plan in place. Each Flex Studio has a fully endorsed English, Social Studies, Math, and Science teacher who provide content expertise and differentiated instruction. Students are also assigned to an advisory Flex Teacher who personally tracks their credits, progress, postsecondary goals, interests, and style of learning. 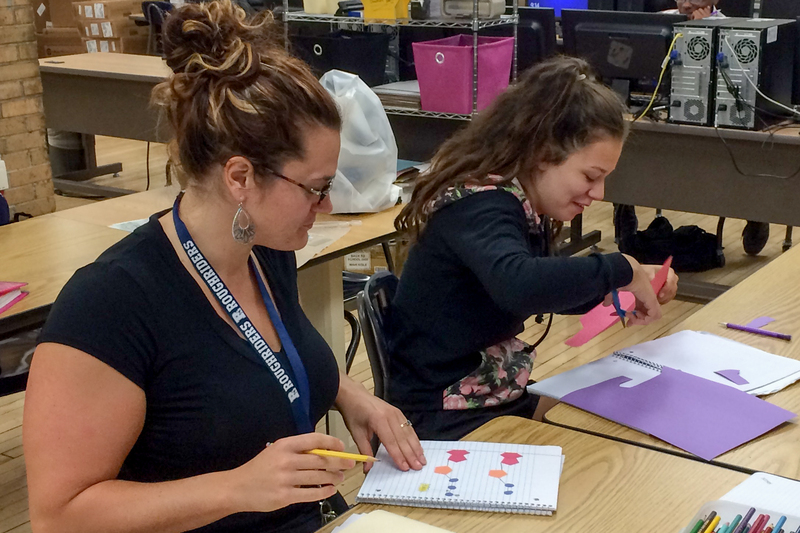 In the studio, students are supported to discover academics through a variety of approaches that enables them to individually refine a preferred learning style. This experience includes online, offline, and blended learning instruction, project-based learning, science labs, research, writing, group projects, and individual tutoring. Learning topics range from global, national, and local perspectives and are designed to relate the curriculum to real world experiences. Students who are scheduled into the Flex Studio will attend an advisory course designed for team-building, goal setting, and designing a postsecondary pathway based on students’ academic, vocational, and career goals and interests. This includes but is not limited to: fieldtrips, resume building, DMACC, University, and Job Corps visits, scholarship workshops, job applications, internship prospects, volunteer work for organizations like Habitat for Humanity, and other enrichment opportunities. Students are assessed using the standards-referenced approach, which is instruction aligned to content focused learning standards. Flex teachers guide the students through knowledge they are expected to learn, provide continual feedback for improvement, re-teach when necessary, and allow numerous opportunities for practice. The results yield self-direction while preparing students for college. The Flex Academy Studios are designed to accommodate students who are in need of additional support as identified by the school’s student support staff. Priority for enrollment is given to re-engaged students and under credited seniors.